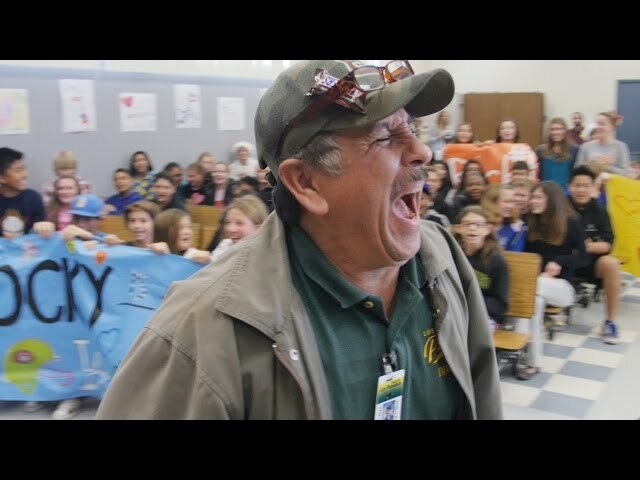 Rocky is a janitor at Los Primeros School in Camarillo, California and he is very loved by the students there. He always shows how much he cares about the students by striking up conversations with them and asking them how they are doing. If they appear upset, he will try and talk to them or console them. As a way to show their appreciation, the students teamed up with Dude Be Nice. Dude Be Nice is a clothing company that encourages inclusiveness, kindness and gratitude. They not only gathered in the auditorium as a surprise to him, they also reached out and made that surprise even better.